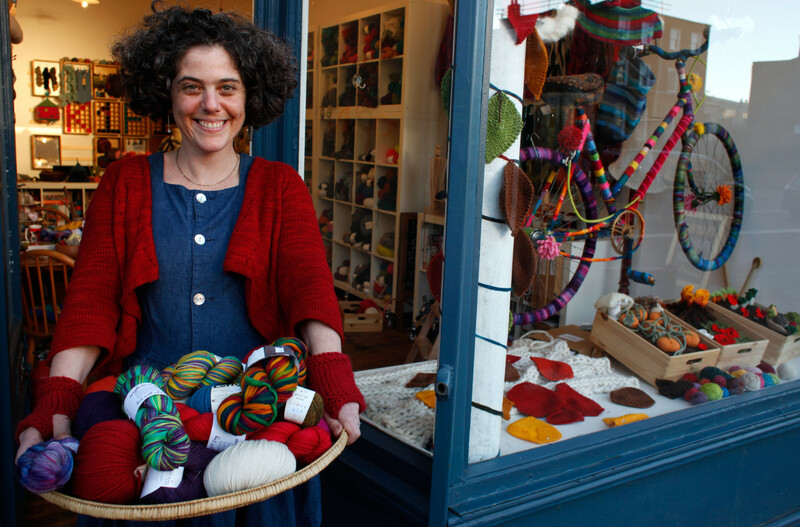 Wild and Woolly is a small wool shop in Hackney devoted to knitting supplies and support for seasoned knit-sters, nervous newbies, local craftisans and anyone else seeking new adventures with yarn. I’ll help you find the right pattern, match it with lovely wools and needles, and I’ll be around to help count your rows, pick up dropped stitches and other unforeseens along the way. Pop in to wind your skeins, get some inspiration, or just to chat about how it’s all going. At the moment my wool list includes ranges from Cascade, Colinette, Debbie Bliss, Fyberspates, Ingrid Wagner, Karin Oberg, Kettle Yarn Company, Libby Summers, Louisa Harding, Noro, Rico Design, Rooster, Schoppel Yarns, Town End Alpaca, The Travel Knitter, West Yorkshire Spinners, Wooly Knit, with new fibres arriving soon. There are single patterns from most of the brands above, as well as booklets and books and a featured display of knitted samples from True Brit Knit’s Alpaca collection. Wild and Woolly is also signed up to Ravelry’s LYS scheme so you can browse and purchase Ravelry patterns at the shop. On the needles and hooks front, I’ve got Mother Goose, Gillian Gladrag, Hiya Hiya, Knit Pro and Apple.